Just like any other day several notable tweaks were released in Cydia today. The best thing about these tweaks is that all of them bring new functionality to iOS and make using it easier. In this short round up of new and notable tweaks for iOS 7 we have featured CallShare, ColorY0urBoard, Gestr, GIFViewer and RocketLauncher. Read on to see what they do and how you can download them from Cydia. Often when you are talking to someone on the phone you have to take a create a quick note to save a number, address or an item name. 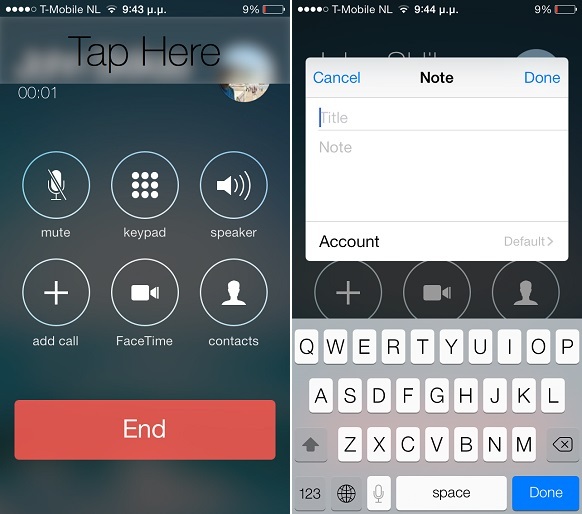 Normally you have to exit the call screen and look for the notes application to do so. The CallShare tweak for jailbroken devices makes the process simpler by adding adds a nice feature for users that allows them to create notes more conveniently. The CallShare menu can be brought by tapping on caller’s name or number. CallShare allows users to create note, reminder or an event right from the call menu. You can get this tweak for $1 from Cydia’s ModMyi repo. It requires iOS 7 to run. 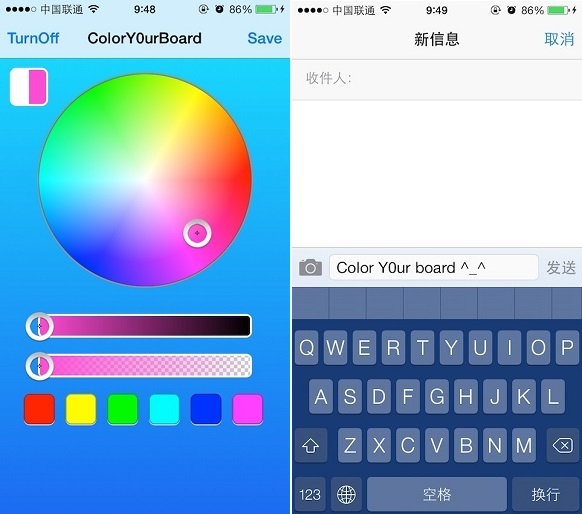 The ColorY0urBoard tweak allows iOS users to change the color of the system keyboard. 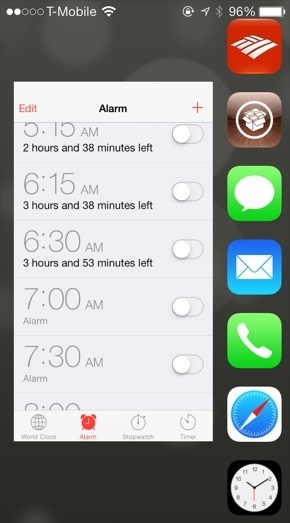 With this tweak users can apply any color they want. It is available in Cydia for $1.99 under BigBoss. 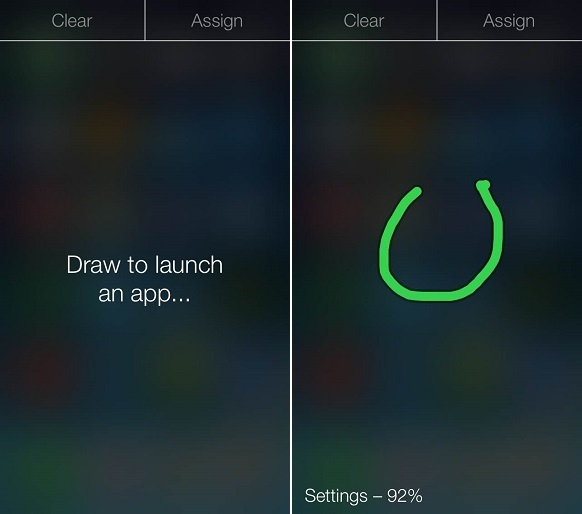 Gestr is an app launcher that enables users to assign symbols or letters to apps and launch them simply by drawing those symbols with their fingers. The Gestr drawing page can be accessed by an user-assigend Activator action. With Gestr whenever a user draws a symbol that has been previously assigned to any installed app, that app is instantly launched. Gestr is a nice tweak that has been implemented well. You can get it from Cydia’s BigBoss for $0.99. See Gestr in action in the video below. iOS does not support GIF viewing natively, which means you cannot view animated GIFs on your iPhone, iPad or iPod touch. 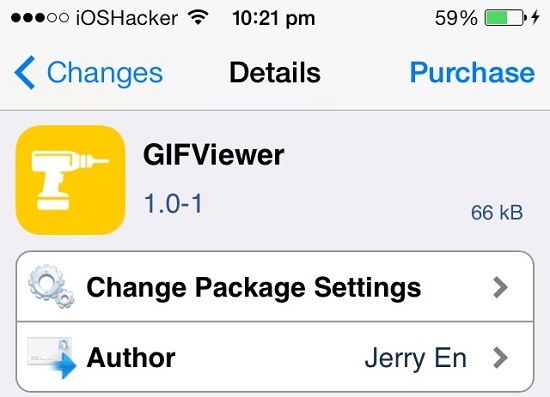 The GIFViewer tweak solves this problem by adding GIF support for iOS. With this tweak installed you can view GIFs in Photos.app as well as many other third party applications. You can get this tweak from BigBoss for $0.99 as well. RocketLauncher is a nice lockscreen app launcher that allows easy access to user’s most used applications. It can be accessed by tapping and holding on the lockscreen. It also provides previews on the apps that are part of the launch. RocketLauncher allows up to 7 app icons to be stored in the launcher for easy access. RocketLauncher tweak is available in Cydia’s ModMyi repo for $1.